Massage is no longer limited to luxury hotels and spas. Today, full-body massages, foot massages and head massages are being offered in airports, clinics, hospitals and beauty salons. There are several varieties of massages. The traditional Ayurvedic oil massage (abhyanga) is perhaps the oldest in India. Other types of massage include Swedish massage, Thai massage, Balinese massage, etc. 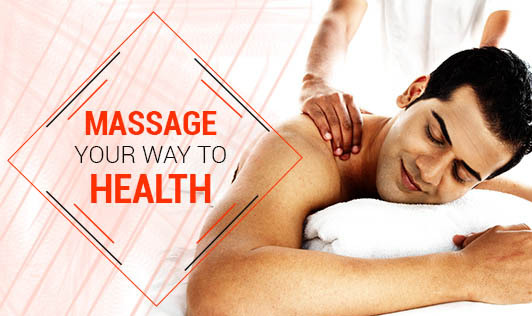 Massage is a fabulous stress buster. In earlier times, both children and adults underwent a weekly oil massage for general health. Unfortunately this tradition has died down in most homes. Massage can help to relieve stress, reduce pain and stiffness, relax the muscles and joints, control blood pressure and boost immunity. But if it's not done properly, it can damage the tissue and cause injury. So, make sure you get it done by a qualified masseur or masseuse. Make an appointment with your massage therapist this weekend and enjoy the benefits!